AND Matcha Green tea heaven. I also grabbed a green tea float as well but I forgot to take a picture. It was the most anti-climatic drink in the history of green tea drinks. The flavour was very bitter-some which was adaptable but still a mediocre drink. The green tea ice-cream really made no difference at all, if any to the flavours. Nothing that reached the WOW factor. There's some brown syrup near the sauces if you want any extra added sweetness. Next time I'll be trying the Azuki frappe! 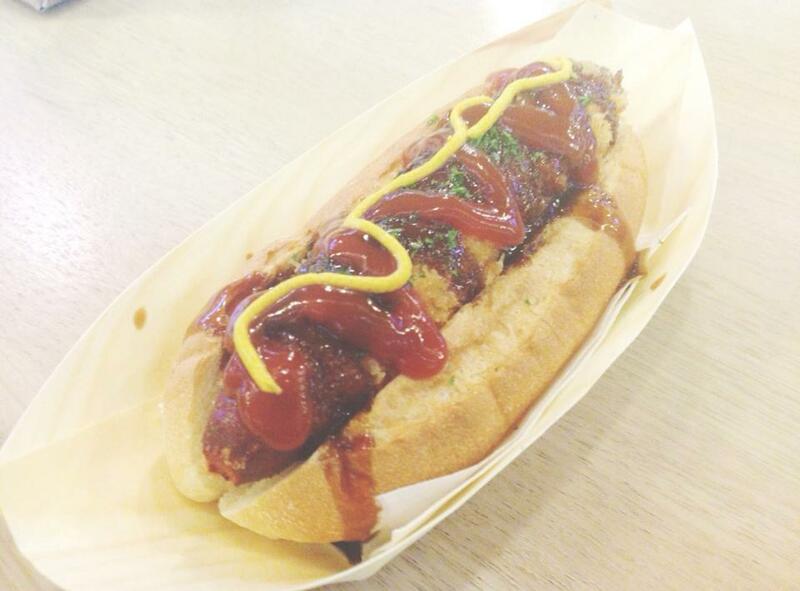 If you like those Dagwood dogs at the Easter show, the Tonkatsu dog is perfect for you (and me)!! It is tonkatsu panko bread crumbed over a Slovenia kranksy, still being able to provide a succulent taste towards the middle. It has a bbq-esque sauce over the sausage, of course I add extra ketchup and mustard sauce for the full-effect. Although, after one bite... I had the wasabi sensation in my mouth!!! I couldn't figure out what it was, it was very overpowering and realised it came from the mustard sauce. Since when was there wasabi in mustard?! Owell, I ended up scraping it off and enjoyed the rest. 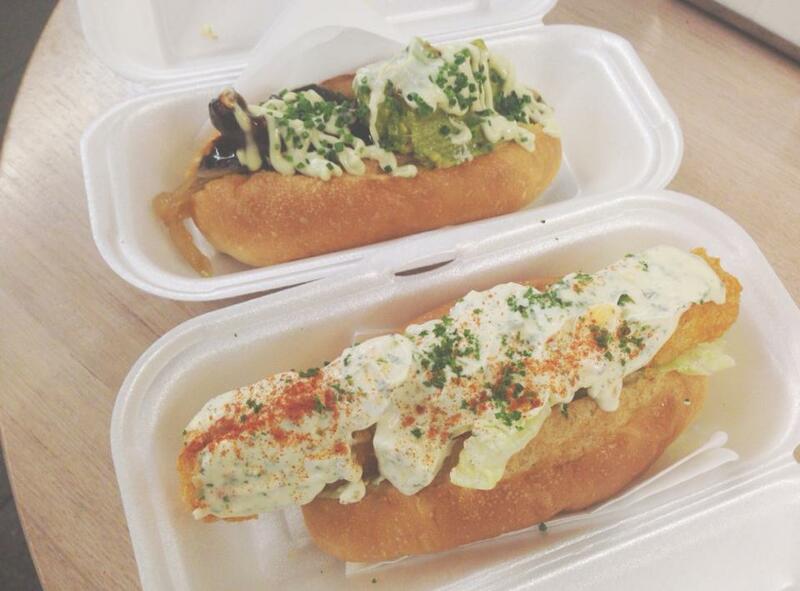 My next favourite was the Creamy Shrimp Croquette dog! Literally ebi fried prawn with generous amounts of Jap mayo in a bun. Interesting concept to take in! The Teriyaki chicken dog wasn't a winner though, the chicken breast got lost in the bread and I ended up eating more avocado than chicken upon sharing! 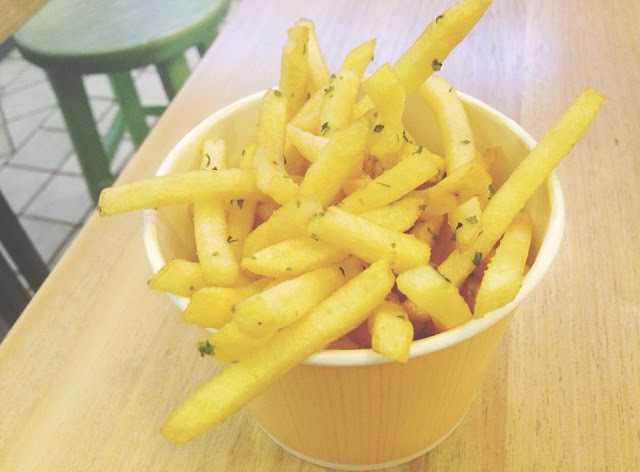 The flavours weren't really there for me. Copyright © 2011 — queen of eggs benny ♔. All Rights Reserved. Theme designed by David Airey. Converted by Smashing Blogger for LiteThemes.com.